​Before moving forward, you need to know where you’ve been, how you got there, and where you want to go next. 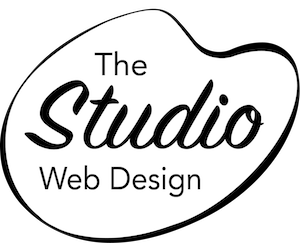 Once you’ve decided we’re the right design studio for you, we’ll make an assessment of your current web presence to determine a baseline of exposure. From that, we’ll determine the exposure you need and develop strategies for attaining those goals. And by studying your competition, we’ll make determinations about how to give you an edge going forward. Having completed the Discovery phase, we’ll use the results to design your new site. The first step is to wireframe a website that is not only beautiful, but also functional and accessible to you and your visitors. Words are important and worth 1,000 per picture. The words on your web pages must be clear, concise and evocative of your business’s style and philosophy. And your text should be interesting to read and make visitors poke around the site to read more, and hopefully convert. Page copy must contain your essential keywords without appearing engineered. It’s best for text to be both sharable and searchable. We’ll create page content to inform and interest your visitors while inspiring them to convert. No one knows your business better than you. If you have existing copy that says it all, but needs some polish, no problem. Our copyeditors can work with you to make your words shine. Blogging is a great way to promote your message to customers and the best way to drive traffic. We’ll create a blog format and editorial calendar that works for your business, and either coach you on how to post, or we’ll do the blogging for you. A picture that evokes the perfect mood is certainly worth 1,000 words. Art shouldn’t be stagnant. On the web, a piece of art can be animated, put in a gallery or lightbox, or displayed as a slider. The possibilities are limited only by technology, not our imaginations. Art is everywhere on a website, from the logo at the top to the drawings and icons throughout. We can use your original art, source from stock art collections or create fresh new art customized for your site's particular look. We use photography from stock image sites and our own stock of images, but we like nothing more than to shoot fresh photos for your web project. Our photographers will provide interior, exterior, event, panoramic, product, and portrait photography using traditional film or high-tech digital cameras, depending on the look desired. Video can be sourced from stock agencies but is most often shot fresh for the project. Our videographers specialize in promotional, testimonial, tutorial and atmospheric videos to enhance the look of your website as well as broaden your cross-platform marketing power. Time to break ground on the new website. Using the wireframe created during the Discovery phase, we’ll build a powerful WordPress website that will be responsive to all devices from smart phones to widescreen TVs. Your new SSL site will live in its own hosting account on a secure web server that you’ll have complete control over. This is your property, so you need to keep the title to it. We’ll assemble all the components: copy, art, and functionality under one future-proof theme designed to grow with your business. Hacking is a major issue on the web and we take it seriously by outfitting all sites with devices to keep your data safe from evildoers. During development we constantly test the new site for functionality, safety, responsiveness, and Google integration. Before you get the keys, we make sure all systems are go. Truth and beauty on the Internet means nothing if no one appreciates it. That’s why we do everything possible to optimize your new site on page and off. Our efforts to promote your website begin with the all powerful and omnipresent search engine – Google. We’ll open accounts for you in Google Analytics, Search Console, and Google My Business to make Google your best buddy. Additionally, we’ll complete the same process with Yahoo and Bing which are both worthwhile search engines. Our SEO experts will create backlinks to your site and optimize the text. They'll provide analytic reports so that you can see the results of our efforts. Based on our assessments during the Discovery phase, we’ll connect your site with the top 3 social media platforms for your industry and create a strategy for using them. This process begins by creating an optimized profile that offers the essential information about your business. It continues with building your following by identifying market segments and offering engagement-worthy posts with appropriate hashtags. Like a home, your site needs constant attention, such as SEO improvements, regular updates to drive traffic, and security reinforcement. Due to the march of technology and the threat of hacking, web sites require near-constant updating. This includes the WordPress core about six times per year, essential plugins almost monthly, and the theme itself every one to two years. Updates go hand in hand with backups, which save your data in a separate location in case of a calamity. Blog writing is an art as well as science. To be effective, blogs should be posted regularly to keep visitors and mailing lists engaged. We’ll create a blog format and editorial calendar that works for your industry. If you don’t have the time or motivation to write blog posts, we’ll coach you or do the blogging for you. It takes a long time for a new website to climb the search engine rankings, but there are lots of white hat tricks to move it faster. Our SEO experts will utilize the technology and resources to create backlinks to your site and optimize the text. They will provide analytic reports so that you can see the results of our efforts to broaden your site’s reach within your industry. If you have the human resources, you may want us to train your employees to maintain your new WordPress web site, post blogs regularly, manage Social Media accounts and report on the Search Engine analytic results. Training can be done either in your office or online via Skype, Zoom, or Google Hangouts. Contact us to discuss your goals, challenges and business model.